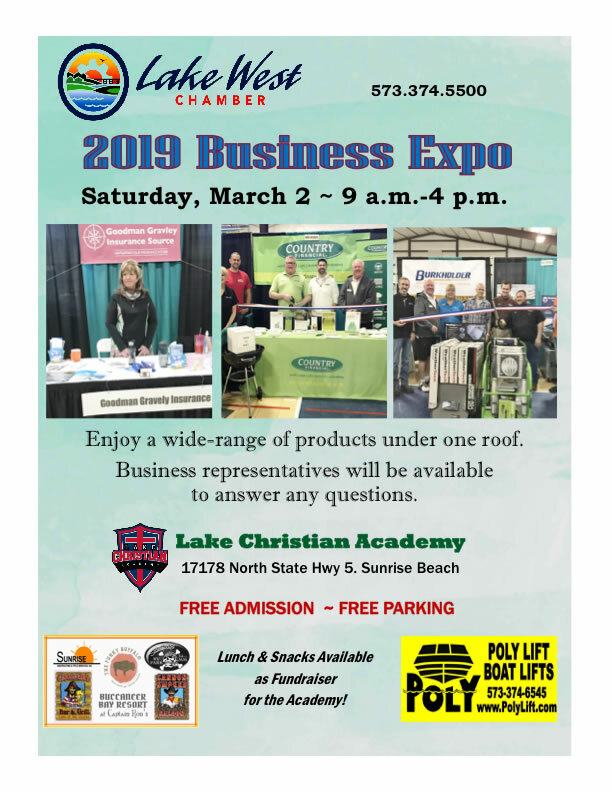 The Lake West Business Expo sponsored by the Lake West Chamber of Commerce, is scheduled for Saturday, March 2nd, 2019. 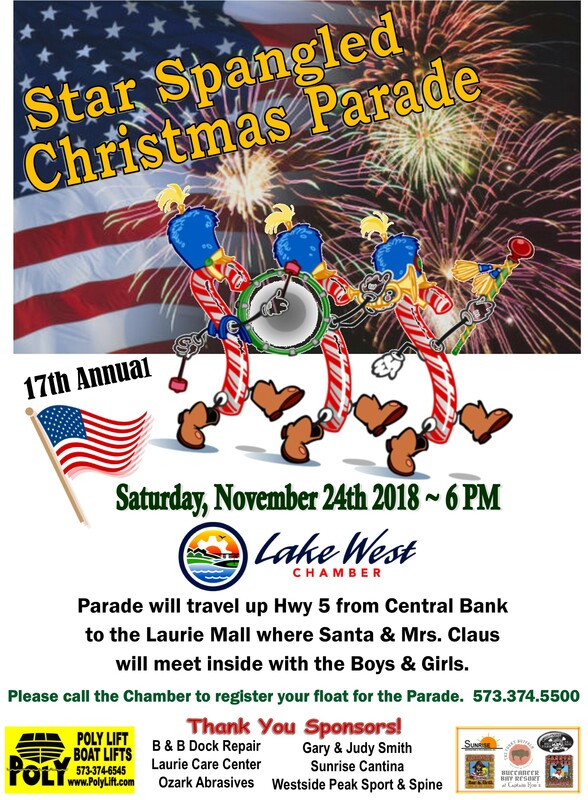 It will be held once again at the Lake Christian Academy in Sunrise Beach. 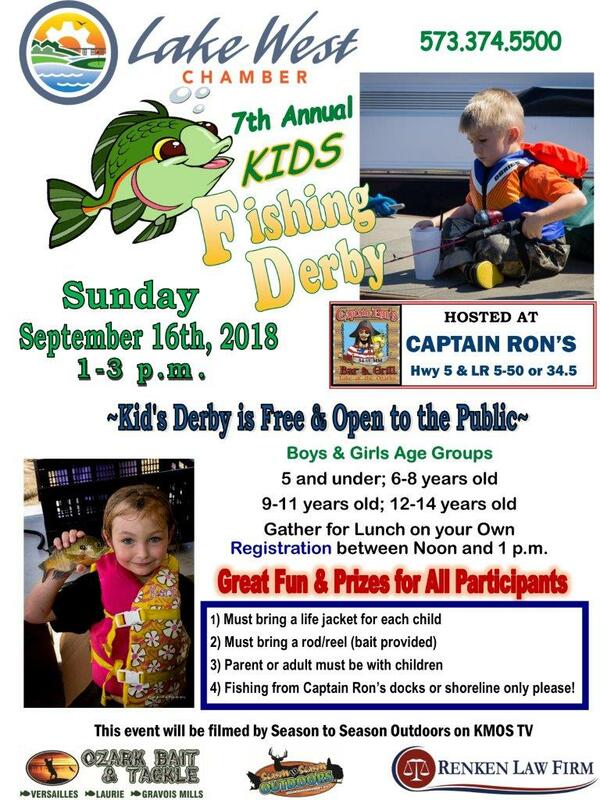 We are looking forward to another great event to showcase your Business or Civic organization. 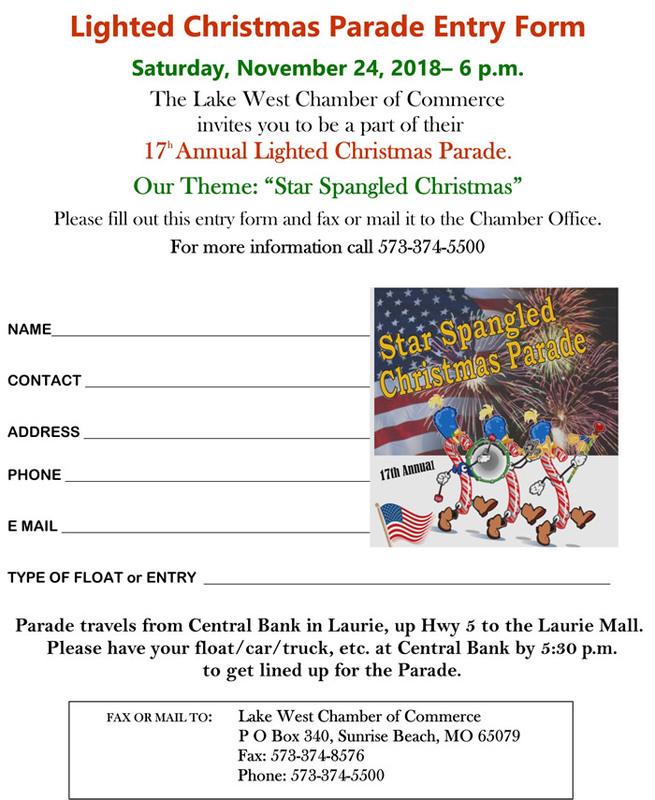 If you would like to find out about reserving a booth at this year’s event, just contact the Chamber office as soon as possible. Spaces go quickly! As a reminder, your 2018-2019 membership dues must be current to be able to participate in the show. Don’t hesitate to call if you have any questions.